WAIKIKI, HONOLULU, HAWAII (CelebrityAccess) — Blue Note Entertainment Group has partnered with Outrigger Resorts to launch a new live music venue in Hawaii. The venue chain's Hawaii outlet will be located in the former Society of Seven showroom inside Outrigger Waikiki Beach Resort and will feature both local talent and touring arts. As a part of the deal, the venue will undergo multi-million-dollar revitalization, which is expected to be completed in early 2016. 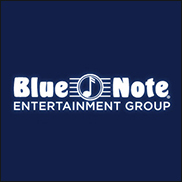 The announcement coincides with other recent Blue Note Entertainment Group initiatives, such as its expansion to China. Blue Note Entertainment Group has partnered with Winbright Culture and Media Co., Ltd. (a wholly owned subsidiary of Beijing Winbright Investment Co., Ltd.). Blue Note Beijing also will open in 2016, followed by two additional locations in Shanghai and Taipei within the next three years.